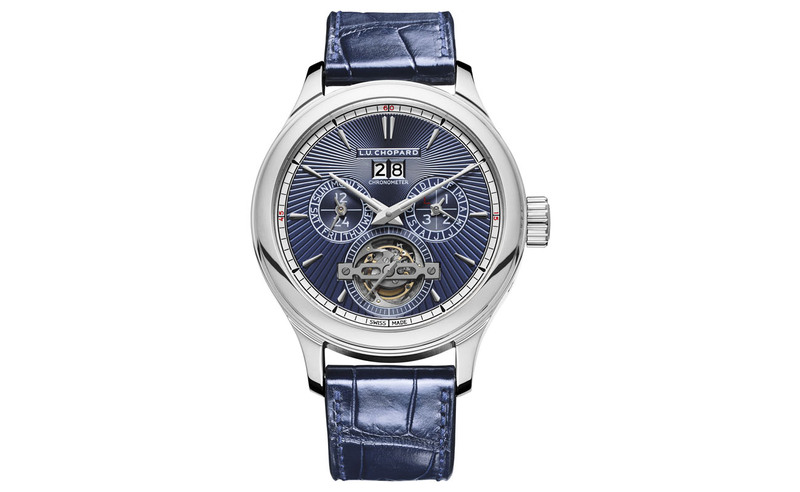 Honouring two decades of the iconic Ocean Collection, Harry Winston showcased the mesmerising Ocean 20th Anniversary Biretrograde Automatic 36mm. 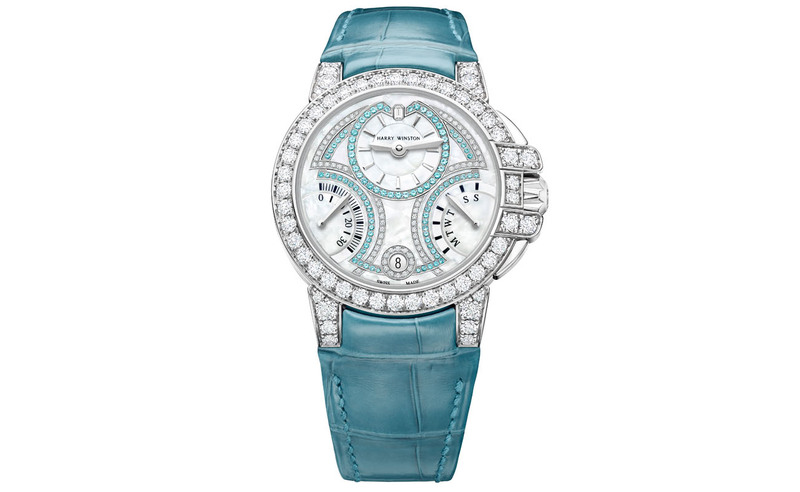 Adorned with bold blue Paraiba tourmalines encapsulating the hues of the sea, this timepiece reinforces the timeless aesthetic of an abundance of diamonds. 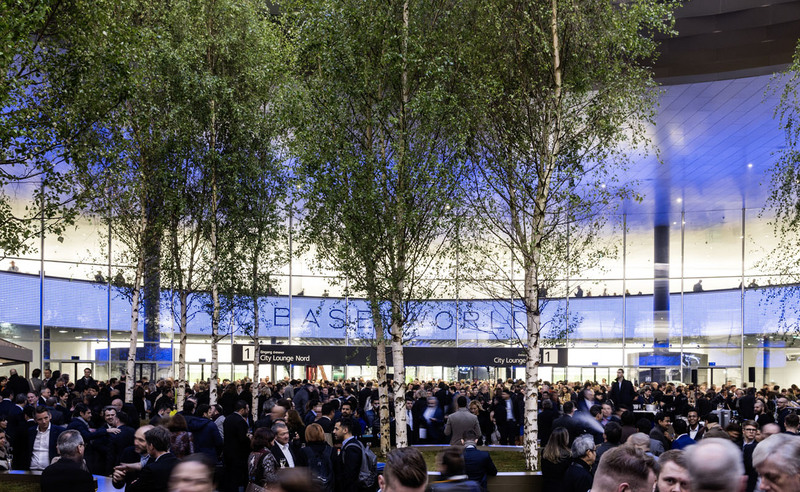 Rolex debuted a host of new launches at this year's show, and this model, designed with the keen diver in mind, is our pick of the bunch. 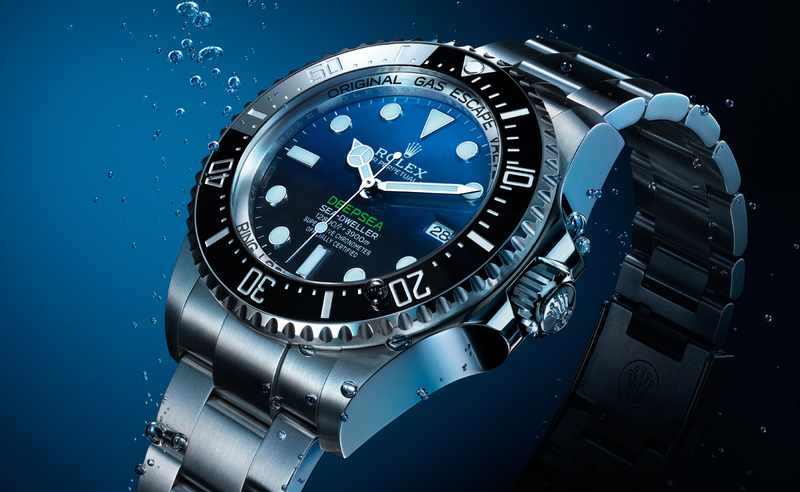 Boasting a Cherachrom bezel insert graduated to 60-minutes, this watch makes monitoring your underwater and decompression time a doddle. 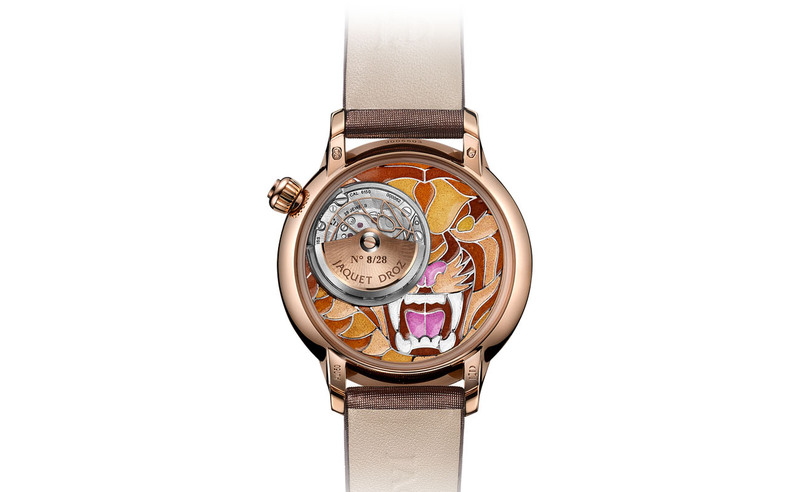 This is the first time the art of plique-a-jour enamel has been used on a watch without a case back – creating a beautifully unique see-through effect, enabling an unhindered view of the intricate tiger design. 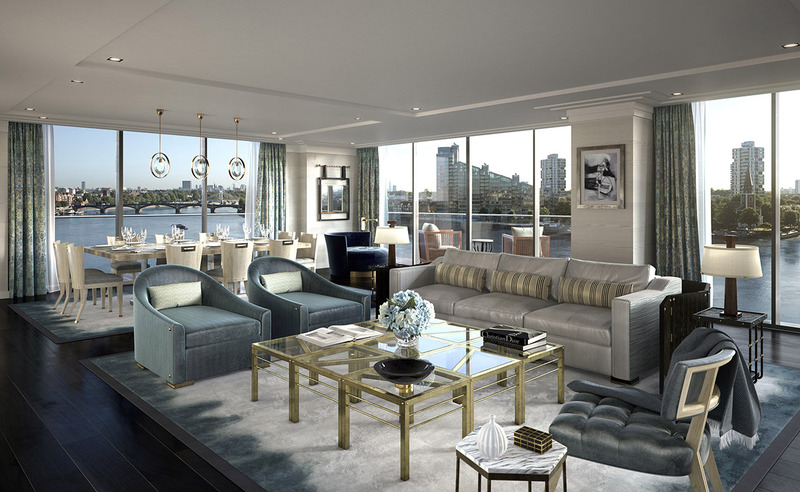 As well as their engaging press conference on sustainablity, Chopard also showcased The L.U.C Lunar One flagship model of the L.U.C collection in a new limited edition. The astronomically inspired moon-phase display is framed in a delightful 950 platinum deep blue sunray-patterned dial, and has been issued in a 100 piece limited edition. 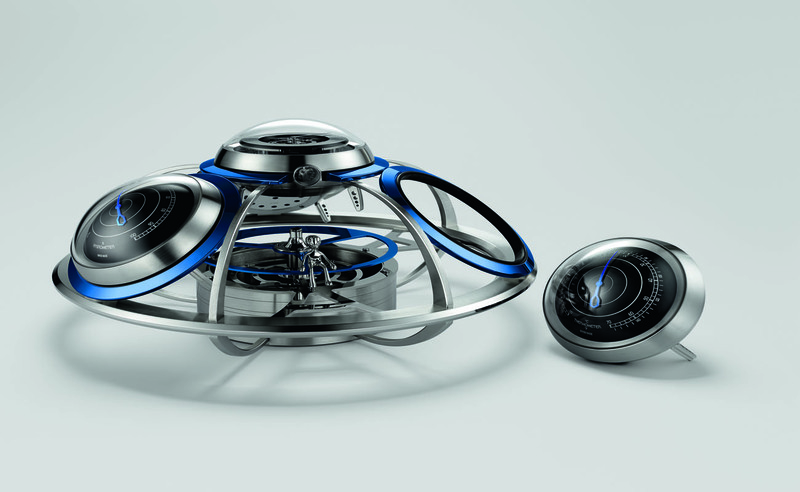 Combining inspiration from UFO films, books, and comics of the 1950-60s with the popular desktop weather stations we relied on before we used our phones, MB&F founder Maximilian Büsser has created the Fifth Element horological machine. ​​The four core elements – clock, barometer, hygrometer, and thermometer – are detachable and interchangeable, and with an integrated support that allows each to be free-standing or return to the mothership when desired. 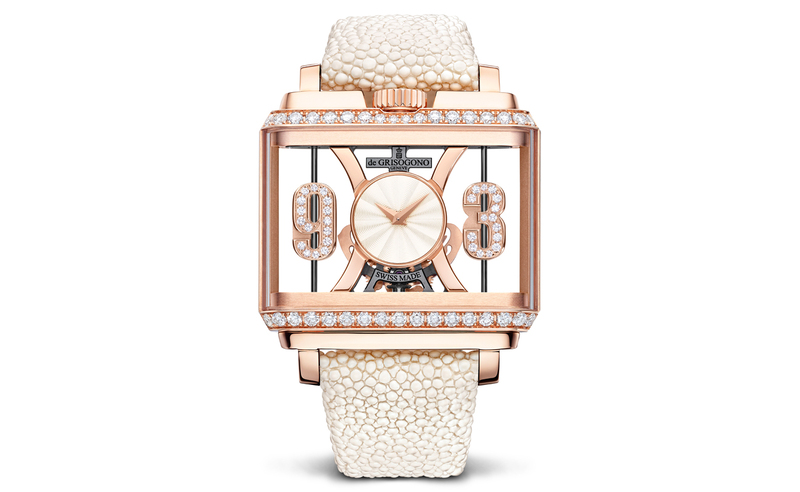 This distinctly stylish offering from de Grisogono is powered by a quartz movement, while the stylised three and nine o’clock Arabic numerals are set with 82 diamonds, which pivot to reveal different colours on the front and back. The New Retro Double Jeu comes in a choice of white or pink gold, with its striking rectangular case either framed by a 1.3 carat row of diamonds, or entirely set with diamonds totalling 4.3 carats. 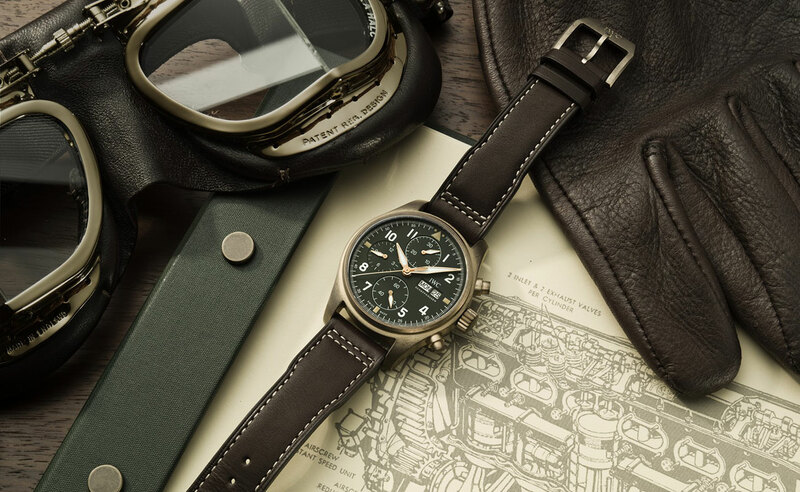 The Calatrava Pilot is Patek Philippe's first self-winding Travel Time in a ladies’ wristwatch format. 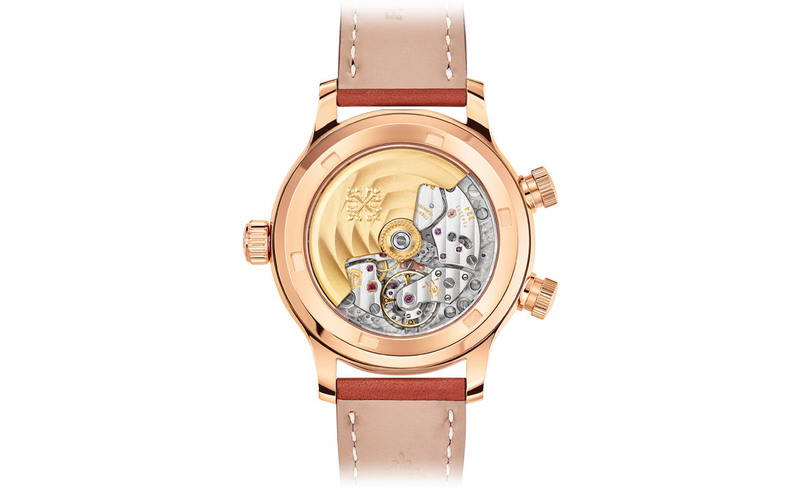 As a feminine interpretation of the Calatrava Pilot Travel Time launched in 2015, this style combines an on-trend rose gold case with a brown dial and luxurious calfskin strap. 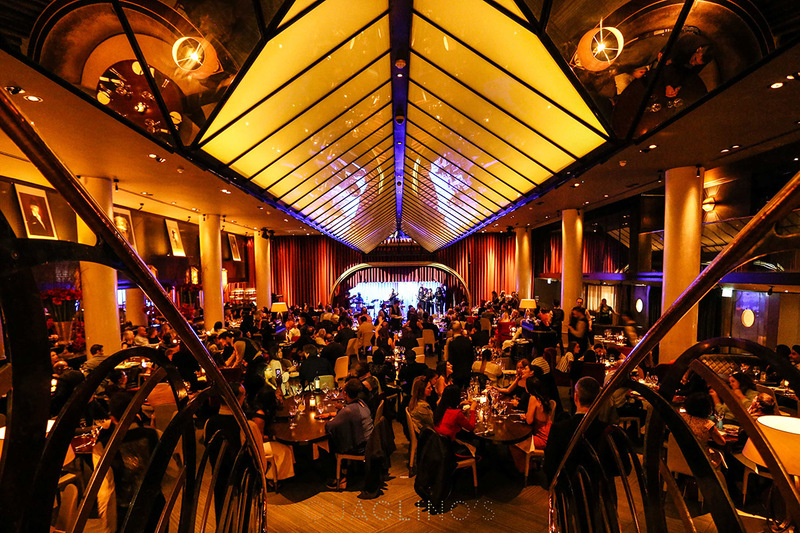 The see-through back offers a peek into the intricate engineering of the watch. 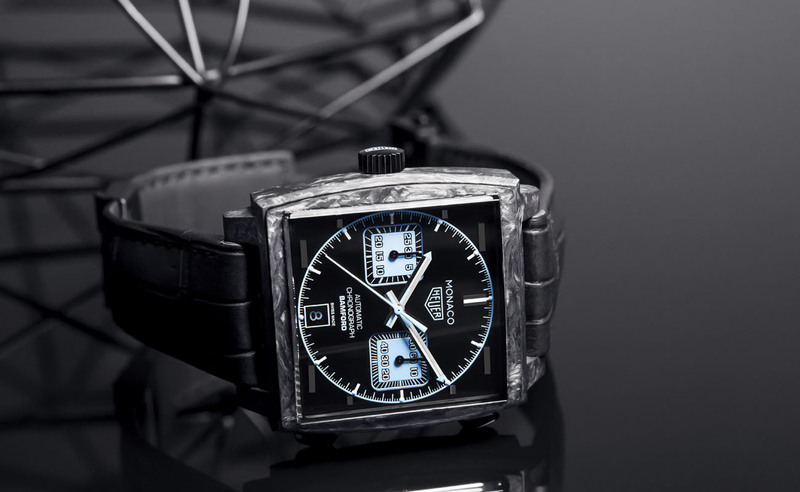 This sporty model is the second collaboration between TAG Heuer and the Bamford Watch Department. The TAG Heuer Monaco Bamford features a case made from incredibly lightweight and highly durable carbon and black alligator leather strap. Bamford's signature style is evident in the chronograph counters highlighted with luminous marks in an eye-catching aqua blue hue. 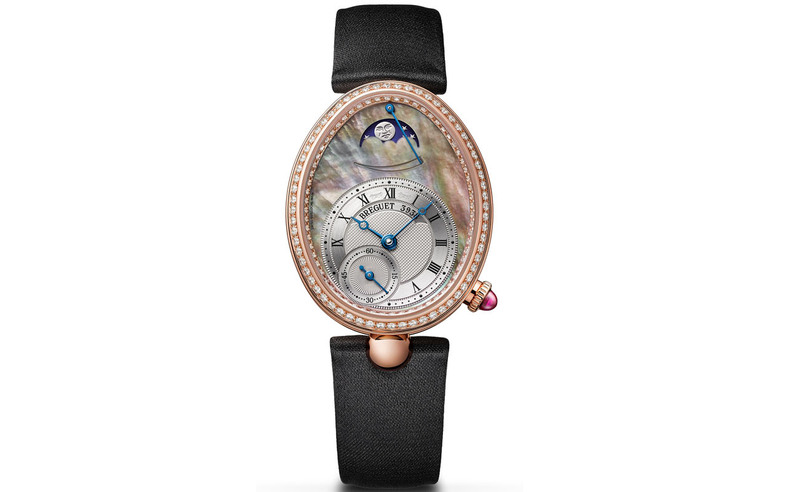 Introducing a new interpretation of Breguet's Reine de Naples 8908 model launched in 2002, Breguet's newest timepiece combine a crown-set ruby with rose gold case and Tahitian mother-of-pearl face, securing this feminine timepiece as a dazzling addition to the Breguet portfolio. Blancpain has reinterpreted its famous flying tourbillon, equipping it with the addition of jumping hours and retrograde minutes. 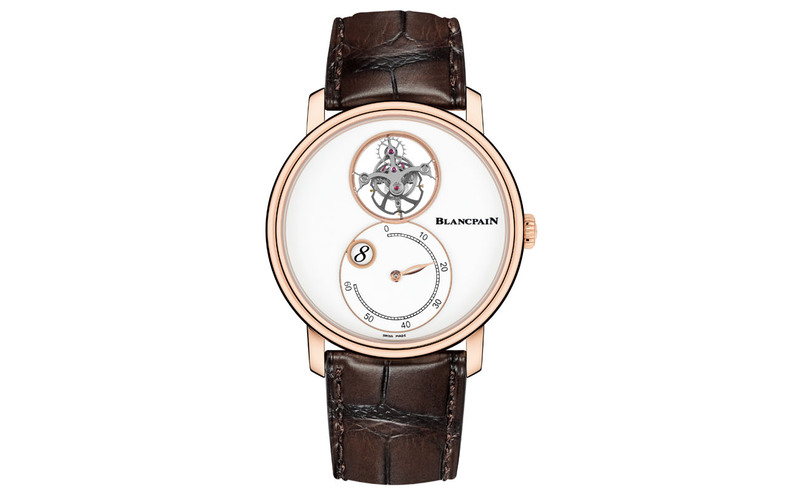 In addition to the remarkable feature of the tourbillon appearing to be floating on air, this new model is distinguished by an entirely hand-decorated movement and a grand feu enamel dial handcrafted in the Blancpain workshops.